The SIUE East St. Louis Center for the Performing Arts has a long, rich history. The legendary dancer, anthropologist, and social activist Katherine Dunham founded the Center for Performing Arts at the SIUE East St. Louis Center in 1964. At its peak in the 1990s, the East St. Louis Center for the Performing Arts provided year-round instruction to more than 1,000 youth and became a training ground for professional artists of all disciplines. For decades, the East St. Louis Center for the Performing Arts provided performing arts classes to students and community members to develop local talent and to cultivate a love of the arts. Classes often culminated in musical and theatrical productions. After a four year hiatus, the Performing Arts Program was brought back in 2015. 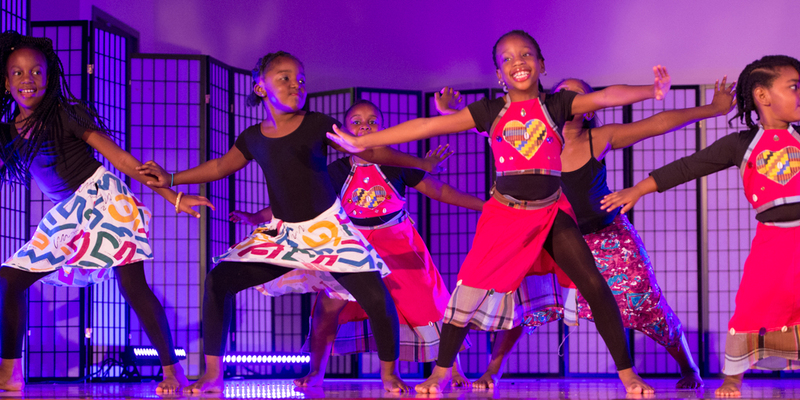 We educated more than 100 children during a 5 week summer program in 2015, which culminated in a performance that showcased the students' accomplishments in performing arts including dance, music and vocal performances. Over 500 community members attended the final performance. The Center for Performing Arts operates a five-week, full day summer camp for 80 youth ages 6-17 years of age. The program includes exposure to Katherine Dunham dance technique. Students also learn hip hop, jazz, and African dance and learn voice, musical instruments and African drumming.